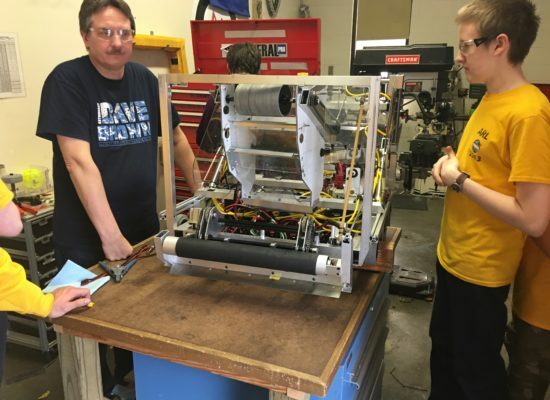 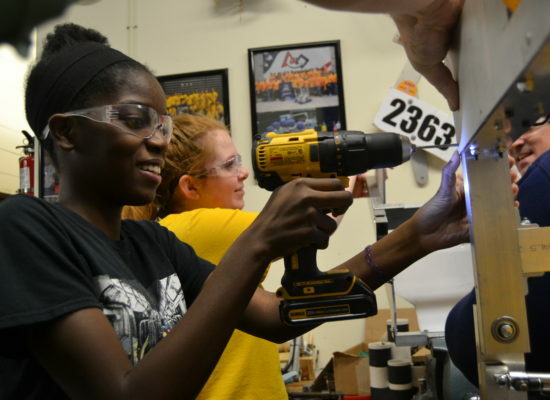 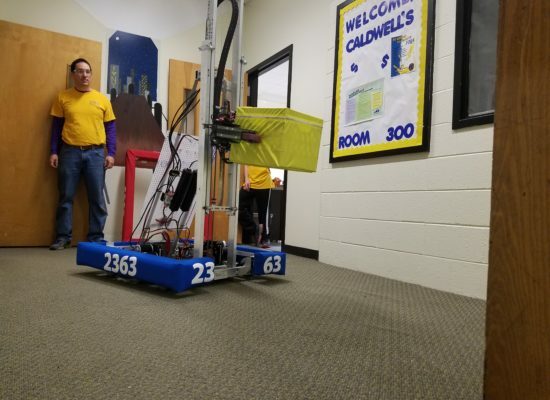 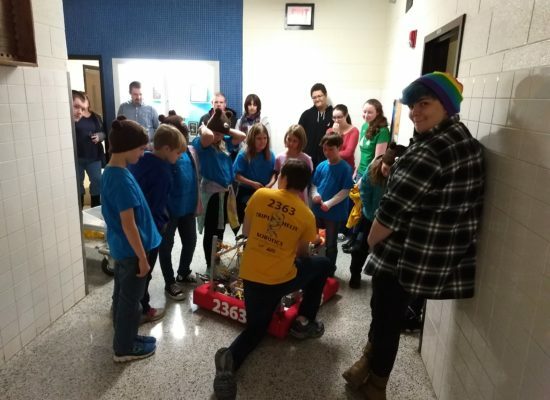 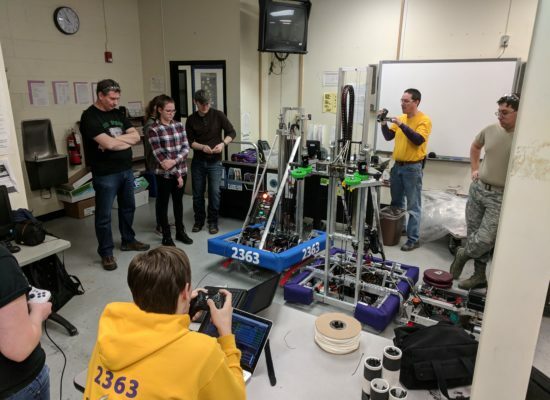 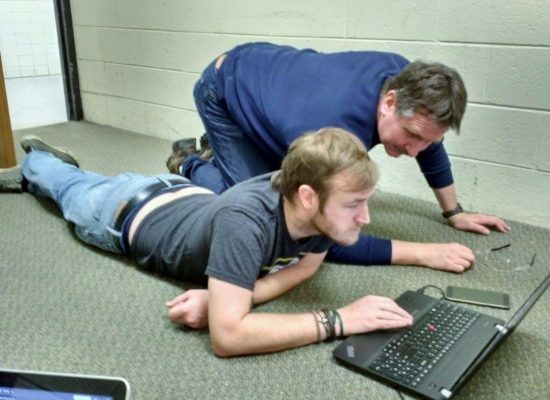 Located in the Tech Building on the Menchville High School campus, the Triple Helix Workshop is where the team’s robots are developed. 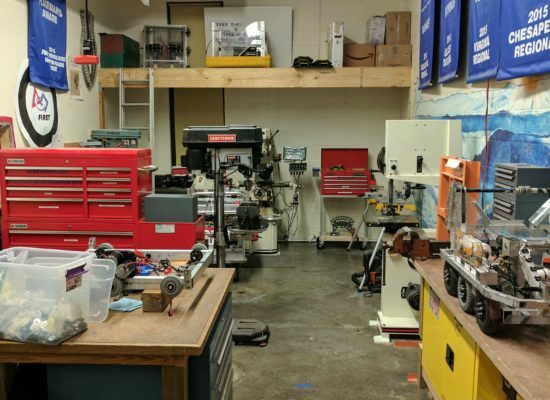 This shop adjoins some classrooms which are used for team meetings. 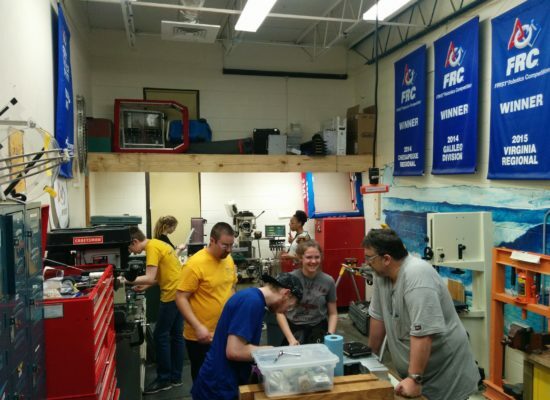 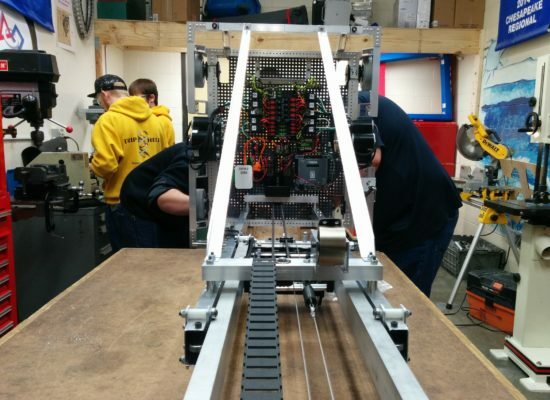 Our workshop is outfitted with most professional-grade equipment needed to fabricate an effective FIRST Robotics Competition robot. 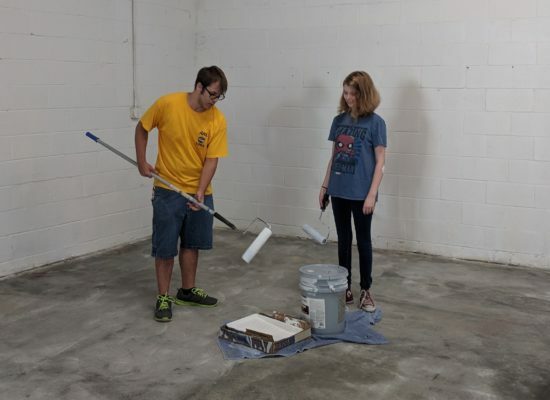 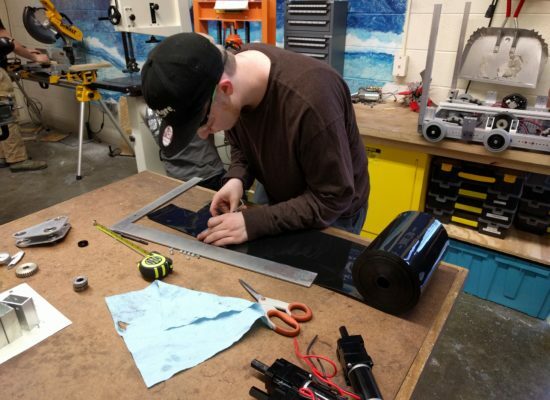 Students work alongside experienced mentors to develop valuable skills on this equipment. 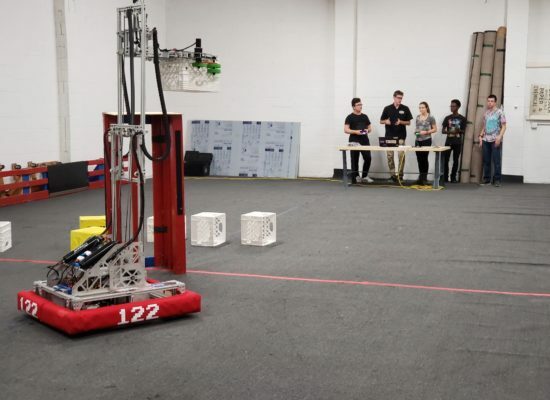 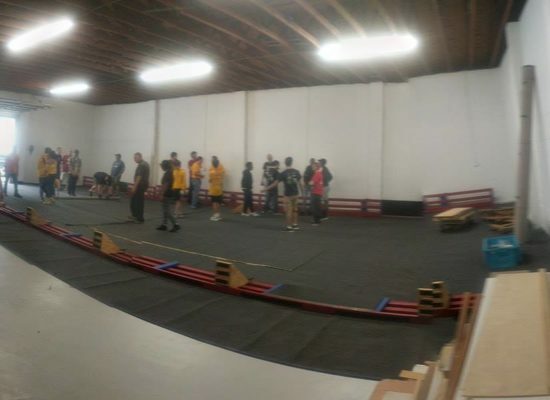 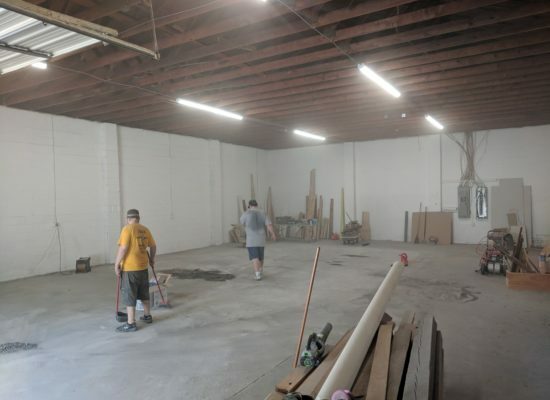 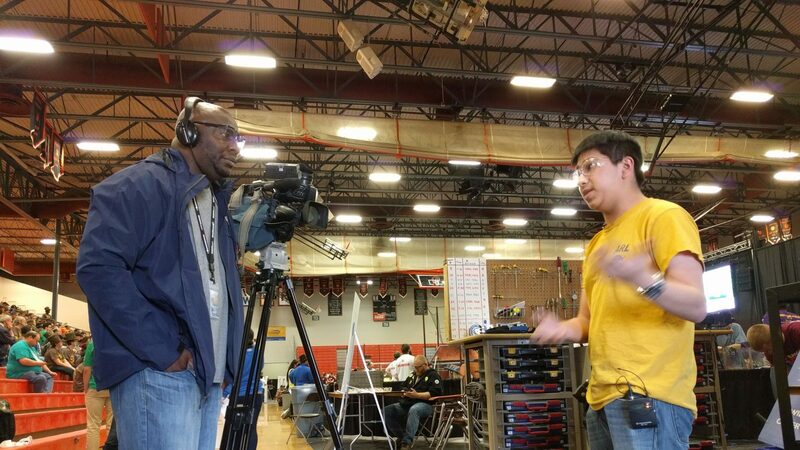 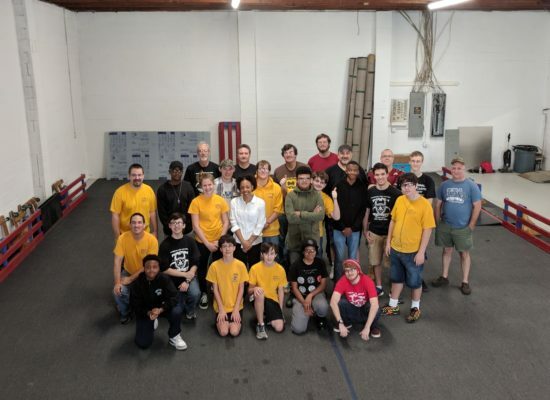 Founded by Intentional Innovation Foundation, the Peninsula STEM Gym is a place for student robotics teams to develop competition robots and have real-world engineering experiences that will inspire a lifelong interest in science and math. 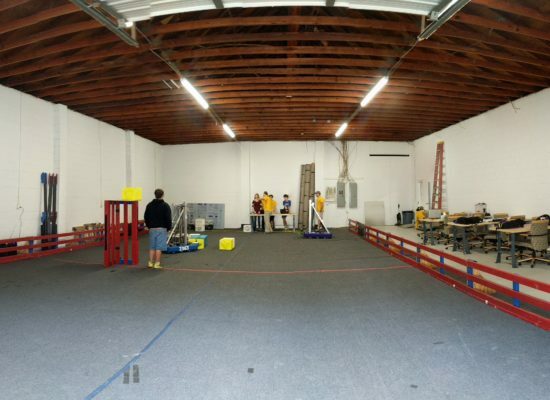 By enabling our students to better practice their sport in our Gym, we increase the likelihood that they can “turn pro” upon graduation.